Whether you prefer sumptuous deep piles, scintillating textures, exciting modern design or timeless traditional styles we have something suitable for every area in your home. 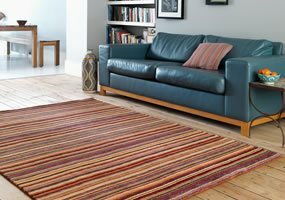 Whether you are looking for a quality hand tufted wool rug in a modern design, a sumptuous shaggy rug, elegant traditional rug or a simple plain rug contact your local retailer. 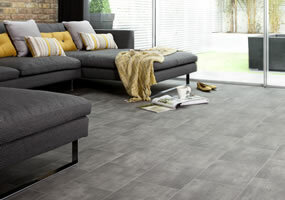 Flooring One offers a range of tough, durable, practical and hardwearing vinyls. Choose from realistic looking wood effects, futuristic metallics or simple tile designs. Luxury vinyl tile flooring comes in many fashionable designs ranging from contemporary to rustic and many feature deep embossing for stunning realism. A laminate floor provides lots of benefits including better moisture and scratch resistant properties as well as durability, low maintenance and available in a variety of colours and styles. The distinctive character in wood creates a feeling of warmth in interiors which further enhances the natural material’s lasting beauty. Flooring One offers a large selection of carpets, rugs, vinyl, underlay, laminate, LVT and wood quality flooring from selected manufacturers. With trained staff on hand to give you all the expert help and advice you need, Flooring One makes choosing flooring easy and affordable too! You’ll find the product and colour that is just right for you. Our members are dedicated to providing the best quality and selection of floorcoverings to the UK consumer and does so through the professional support of carefully selected local independent stores. With trained staff on hand to give you all the expert help and advise you need to make choosing your floorcovering trouble free. At Flooring One you will find a superb range of carpets, whether you prefer sumptuous deep piles, scintillating textures, exciting modern design or timeless traditional styles we have something suitable for every area in your home. We make choosing carpets easy and affordable, you will find a product and colour that’s right for you! Flooring One offers a variety of rug design, styles and colours to suit all tastes. Featuring a selection of modern, contemporary and traditional ranges from all over the world. Whether you are looking for a quality hand tufted wool rug in a modern design, a sumptuous shaggy rug, elegant traditional rug or a simple plain rug contact your local retailer. Flooring One offers a range of tough, durable, practical and hardwearing vinyls. Choose from realistic looking wood effects, futuristic metallics or simple tile designs. Many ranges are also now available with added slip resistance for added assurance. Available in a huge selection of colours and designs, easy to maintain practical and hardwearing. Solid wood flooring suggests an atmosphere of timeless style and charm, making an inviting addition to any home and Flooring One offers a range of tough, durable, practical and hardwearing wooden flooring. 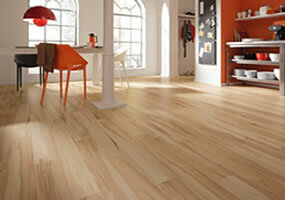 Solid wood floors are durable and are beautiful to look at and will perform for a lifetime. 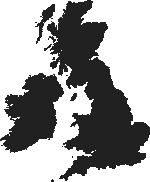 Visit your local independent retailer for expert help and advice, the retailers are passionate and dedicated people who are there to help and assist you with all your flooring requirements. Please Note: Please check with your retailer for stock availability before travelling, as your retailer may not have all items on display in their stores.